Combining know-how with talent: the key to a bright future. The Lighting Days shows, the major lighting and LED technology event was held in Lyon from 13 to 15 February. 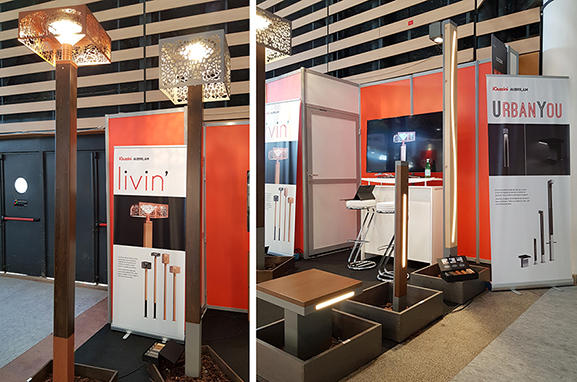 iGuzzini and Aubrilam jumped at the chance to preview their creative synergy with two new urban ranges: Livin’ and UrbanYou. This prompted a particularly encouraging and positive welcome by the professionals of the sector. The official launch is on the cards for spring.